Over the past few years there’s been a notable increase in the number of people that are giving Yoga a try. Studio classes are filling up as both men and women are beginning to see the value of devoting time to this seemingly passive and by American standards, barely stimulating activity. In fact, many are even beginning to….dare we say….develop a Yoga ‘practice’, carving out time in their workout week routine for at least one session of Yoga. For some, that unexplainable “clear and refreshed” feeling is what keeps them coming back. For others, the new found flexibility and energy that comes with relieving muscular tightness while clearing energy obstructions is the primary driver… especially when they notice their bodies’ positive response to and improved results in other cardio and weight-bearing exercise activity. But regardless of what immediate sensations are felt and recognized, there’s a whole bunch of even better stuff happening on the inside…beneath the surface. Yoga as a physical practice, when deconstructed, boils down to a series of poses that are very precisely executed while synchronized with breath work. The most noticeable results of a Yoga practice come in the form of added strength, flexibility, balance and concentration. But the most amazing outcome of practicing Yoga, is the effect it has deeper within and its impact on overall health and longevity. One could say that Yoga works the body from the inside out. By “inside” I don’t mean anything abstract or spiritual…I’m referring to purely physical elements only; those that are internal, or within our bodies…more specifically – the spine. When we consider the spine as our starting point in Yoga and everything else as tying back to it, it all begins to make sense. Yoga poses are designed to move the spine through its total range of motion and to strengthen specific muscles that help keep the spine supple. Keeping the spine flexible and supple is critical to overall health because the spine is the ‘control and command’ center for the central nervous system…for the whole body. Excessive tightness in the spine/poor flexibility of the back and hips can impede or limit normal movement, and this has a domino effect on our bodies overall health. When movement is limited or impeded, muscles weaken…leading to stiffness, poor posture, back problems, and a higher risk for injury…. Therefore, with the spine as a focal point, the practice of yoga poses delivers skeletal alignment and strength, stimulates both growth and the muscle strength needed to hold bones in place, protects the spine and enhances its mobility. In “Spinal Mobility: The Missing Link of Core Training”, an article published in 2009 in Triathlete Europe, the author, Nate Koch helps us understand the need for spinal mobility and why Yoga is a much needed complement to every physical conditioning program. In all 3 triathlete disciplines: cycling, swimming and running, the spinal movement is restricted to one of its 3 planes: the sagittal (or forward-backward) plane. Constant repetition of sagittal movement leads to restriction of mobility in the other two planes of movement (rotational and side-to-side). He states: “Spinal immobility and postural and muscular imbalances from spending too much time in one position or movement plane, often causes leg misalignment, abnormal muscle firing and soft tissue restrictions. These problems may in turn create injuries such as sciatica, ITB (iliotibial band) syndrome, shoulder impingement and Achilles tendinosis”. He suggests that in order to realize your maximum potential in other sports/physical conditioning activities, one should give the same amount of attention to core flexibility as he does to core strength. The spinal mobility accomplished with Yoga is needed for optimal muscle recruitment and for reducing muscular fatigue, resulting in greater force production and more efficient movements when practicing other sports and physical conditioning activities. The engagement of breath work when executing each Yoga pose is critical to improving spinal mobility and thus to the overall benefit of the practice. Breathing is something that we tend to do involuntarily, and perhaps since we aren’t forced to focus on it, we fail to realize the importance of doing it properly. When we breathe deeply and completely, we utilize oxygen more efficiently and the heart gets a break from working overtime to compensate for not enough oxygen being distributed. Proper oxygenation ensures that nutrients are moved into and throughout the body, while toxins are moved out. You can take on a Yoga pose with precision and full alignment, but you need to breathe through it deeply and completely in order to realize the full effect of the pose. Using the breath and the pose to help the spine do its work, and help move energy into, through and out of your body is what allows yoga to do its job on the inside…deep within; encouraging healthy digestion and elimination, charging the immune system, helping ward off age related degenerative diseases and helps alleviating stress. So if you know of someone who plays sports or engages in athletic endeavors and you’d like to share yoga with them but you haven’t been able to convince them of the amazing health value, perhaps share this article with them. It might help them understand why “it’s time to mobilize”! Better spinal mobility will take their current sports activities to the next level, while impacting their overall health deep within. 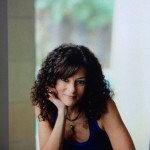 Rachel Moncayo is a business owners to Quantum Fitness Holdings Corp- a paradigm-shifting business concept for the future of health and wellness, and parent company to Brookhaven Fitness Studio. 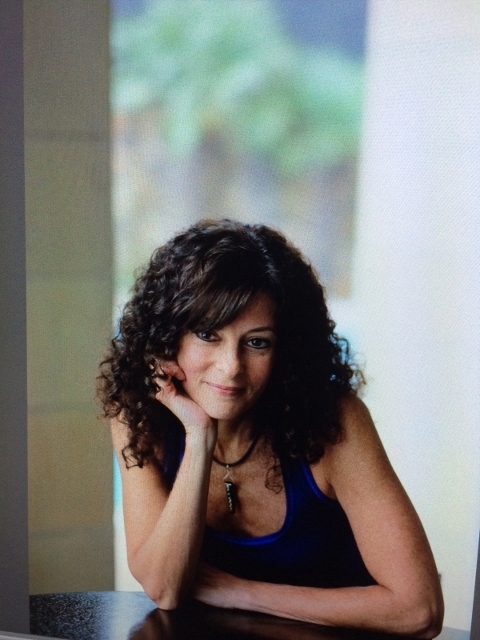 She is a YogaWorks RYT certified Yoga Instructor and Reiki Practitioner with 30 years of fitness/wellness lifestyle experience , and 20 years of corporate experience in marketing communications, training and product management. Rachel embraces every opportunity to share her firm commitment to the empowering value of integrative and holistic fitness and her personal story of empowerment. She holds a degree in Communications and Education. Thank you, Brian! Appreciate you taking the time to read & comment! Would love to connect and learn more about your work & practice! Thanks for all this info! As a fellow fitness & yoga instructor, this is very useful. Keep it coming!